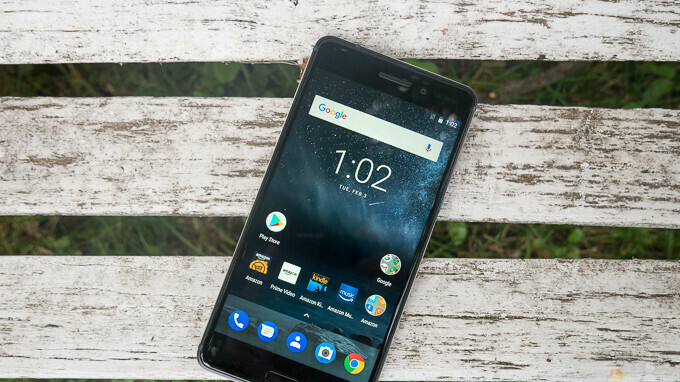 The fine folks at HMD have just started the Android 8.1 Oreo roll-out to the Nokia 5 and Nokia 6, two mid-range smartphones that made their debut on the market not even a year ago. That leaves Nokia 2 the last smartphone launched by the HMD to have yet to receive Android 8.1 Oreo, as the Finnish company confirmed back in December. Each of the two phones – Nokia 5 and Nokia 6 are getting the update in different countries, but the deployment should expand worldwide in the coming days. It's yet unclear whether or not these mid-range Nokia smartphones will eventually receive the upcoming Android P update, but if you're owning a Nokia 8 chances are that you'll get it at some point. Nokia doing a great job with their software updates! Nokia is doing an awesome job with the updates, as they said they would. My Nokia 6 is already on Android 8.0 and now I’m downloading Android 8.1 as I type this. Nokia is my all time favorite Smartphone Brand, and only they are seriously making a case for me to return to Android from iOS. (8 Plus). Kudos, Nokia. I applaud Nokia for doing something that other OEMs like Samsung, blackberry, LG, and Motorola aren't doing and that's updating their devices to the latest version of Android. What's the point of getting an android device if you don't get the latest firmware updates. Now granted, Nokia still won't hold a candle to Google and the FAST and CONSISTENT updates be it security or Android updates. That's another thing, consistency. It remains to be seen if Nokia will be consistent with updates. Nokia already beat Google more than once at speed of monthly security update. BlackBerry also do the same. Nokia has been consistent with security and os update of its phones. They are already fast with monthly security update. This will not change, I believe. Google has to make the update available before it can be pushed out. In the past they were staggered releases. Now, when Google releases them, users can get them right then and there due to a recent version update. Point still stands. You believe and actually happening are two different things. I don't have to believe with Google because it has already been done whereas with BlackBerry, which btw has nothing to do with this, and Nokia, it's not a sure thing. HMD and BlackBerry already beat Google before with applying update to branded phones. This is fact that can be verified whether you like it or not. The fact that they beat Google who push the update make this even more incredible. My point stil stand. What you choose to deny does not mean it did not happen. Your denial just mean that you cannot deal with truth. I don’t have to pretend it happen because It actually happen. You mention BlackBerry first in your comment #4. They have nothing to do with this but you mention them first. Google not mention in this article, but you bring them in this. You cannot mention the name first and then say they have nothing to do with this. Is not how things work. I don't trust OEMs when it comes to Android updates promises. The Essential phone was supposed to be updated regularly and it hasn't been compared to Google phones. Yup, for me as well. With OEMs its - I'll believe it when I see it. at least with Nokia they've made a verbal commitment we can gauge them against. So far security updates have been handled great by Nokia IMO. But if someone wants guaranteed and timely Android OS updates for 2-3 years then Nexus/Pixel is the only way to go. Sadly with Pixel I feel they dropped the ball this year with hardware. But that's a whole different discussion. This is called commitment. I hope other OEMs to see this and not discriminate the devices for updates just because it didn't sell well. Good job Nokia.